Orders placed on the 2DaySigns.com website will ship ‘UPS Ground’. 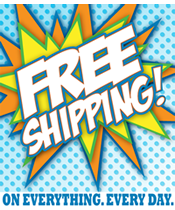 Expedited or Freight shipments do not qualify for free shipping. Please contact Customer Service if your order requires Expedited or Freight services. Alaska and Hawaii are excluded from this offer. If you are located in Alaska or Hawaii, please contact Customer Service for a quote on any additional shipping charges. We do not ship outside the United States. 2DaySigns ships ‘FOB Shipping Point’. This means the customer takes responsibility for the goods when the goods leave the seller's premises. Damaged Shipments: If you receive any goods in a damaged condition, you must notify us with 5 business days. We may ask you to provide proof of the damage, as a condition of refund or replacement. We will file a freight claim on your behalf with the appropriate shipping company (UPS, FedEx, etc.). Freight claims can take up to 7 business days. Based on the outcome of the freight claim, we may issue you a credit in the amount paid for the goods or send replacement goods at our discretion. 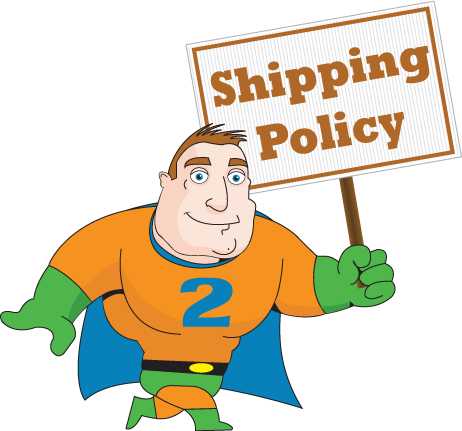 Shipping charges for all Return Authorizations will be paid by the customer. If a shipment is returned to 2DaySigns.com, the customer will be responsible for paying any shipping costs incurred for the return shipment and the shipping costs for a second shipment. If it is determined that the order was returned due to an error by 2DaySigns, we will pay to re-ship the order. Address Correction charges will be paid by the party that entered the information into the order. If the customer enters the address incorrectly, the customer will be responsible for the Address Correction Charge. If 2DaySigns enters the information incorrectly, 2DaySigns will pay the charge. Some orders may be shipped with a Signature Required. 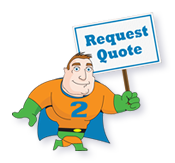 It is the customer’s responsibility to receive the package in a timely manner. If the order is returned because no one was available to sign for the order, it will be the customer’s responsibility to pay for the re-shipment.